He literally went against the tide when he quit his job as a doctor. Five years later, Amit Wanchoo employs hundreds of people at his event management company who host everything from weddings to soap-opera crews. Syed Asma spends some light moments with a born rebel. Amit Wanchoo is a jovial, witty guy. He makes every conversation so interesting with his personal anecdotes that you hardly remember the thing you actually were talking about! Wanchoo is into event management. His firm, ‘Space Communication’ manages all kinds of events-business, sports, entertainment, conferences and film and television shoots. Sitting in a modest office, its branches in both Jammu as well as in Kashmir, Amit presently employees hundreds of people, of which more than 50 are on rolls and others are assignment based. Of late, apart from organising some major sports events of cricket and football in Valley, he hosted crews of some television shows including the cast and crew of Tarak Mehta ka Ulta Cheshma in Kashmir and is expecting them again in March. “Getting cast and crew of Tarak Mehta was a boon, as it is widely watched in India, so it can get us more tourists. More tourists mean more business,” says Amit, 35, wearing a cheerful look on his face. What makes Amit content about his work is more inflow of television crews in Kashmir. 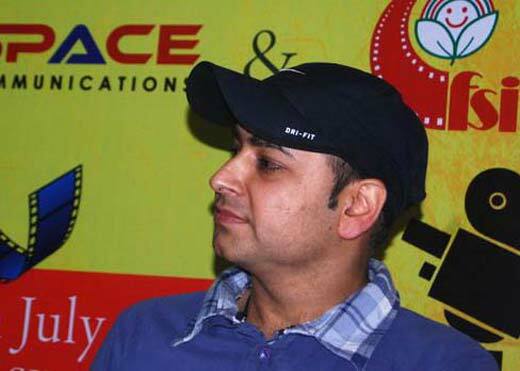 Last year he hosted crews of three television shows and in March he is expecting to get Balaji productions in Kashmir. “They will be shooting for their three soap-operas, though names are not out yet,” says Amit. Besides, he organised four grand weddings in Kashmir. The couples belonged to Uttar Pradesh, West Bengal, Maharashtra and Delhi. Amit started event management by organising medical conferences. And what clicked was an event in Maharashtra where the then Tourism Minister, Rigzin Jora was the chief guest. “Jora was so impressed by our work that afterwards he mostly approached us for organising Tourism functions in Valley,” shares Amit. Amit has studied medicine but has barely practiced the profession for seven months. He chose to resign from a permanent government job and be an outlaw at home. “For four months I could not tell at home that I left the job, so, I used to leave home every morning and come back in the evening,” says Amit. After they got to know about it, there was a social boycott with him at home. For more than a year they did not dine together. “Obviously, a PSC confirmed doctor had left a permanent job, it was as good as committing suicide,” says Amit with a straight face and laughs. After leaving medicine, he joined his family business, besides, was working with Rotary International (Rotary Club). Through the same club, he got a fellowship in Yale and came back in 2008 after which things started getting a proper shape for him. Belonging to a well-to-do Pandit business family, education was of utmost importance for them. His father Kumar Wanchoo is into pharmaceutical business and is running Valley’s lone pharmaceutical manufacturing company, ‘Etion’ for past three decades. Excellent in his studies, Amit was asked to choose medicine. Being an obedient son, he qualified the entrance examination and joined Jhelum Valley College (JVC). It was 1999. “Taking my studies serious for about a year, I topped my batch in the exams but could not do it for long. I mean topping every batch would have been suffocating and redundant,” he says jokingly. Amit is a trained musician and singer. During his college days he had founded a music band, ‘Immersion’, probably the first in Kashmir. Other group members were Mehmeet Syed, King Paul, Irfan and Bilal. But the group could not sustain. It was the same period he had conceived the name for his firm ‘Space Communication’, though he had no idea what to do with it. Amit says if Kashmir would have been a normal peaceful place, he would have been a doctor working in SKIMS and doing private practices. “Our exams never happened on time. The degree which usually takes five years took 7 or 8 years of mine. So, I got a lot of time to realize that I somehow do not fit in the set system of a hospital,” he says. He has his own way of treating patients – by singing for them and listening to their stories. His friends even joke and tell him Rajkumar Hirani got inspired by you and made ‘Munna Bhai MBBS’.